Looking for a playful wedding save-the-date template? Look no further and check this one out. Planning a tropical themed wedding? This wedding save-the-date will definitely fit in with the rest of the theme. 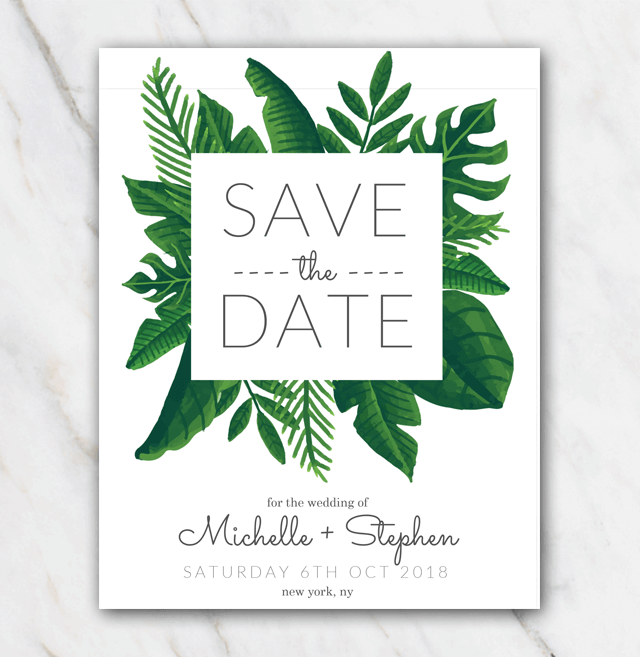 Rather have a save-the-date with a more classical look & feel to it? Check out the other wedding save-the-date templates.